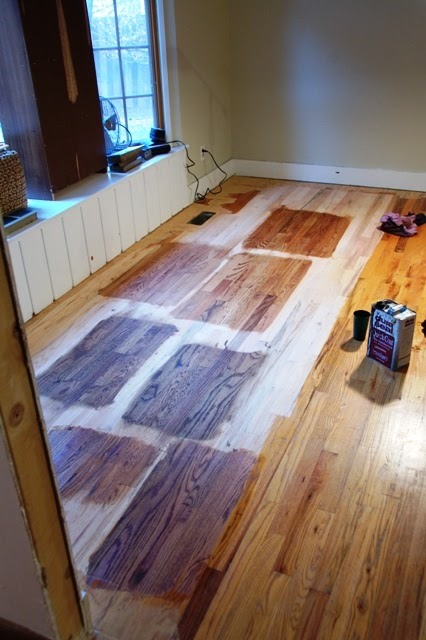 Well, we picked a stain. And by we, I mean me... but then I emailed photos and talked Mike through it and he ultimately came to the same decision as I did without me telling him what I thought, which means we're either both totally in sync or that I am super skilled at subtly leading a witness--er, a husband. Er, scratch that entirely, there was no leading involved. And now it's Tuesday and the floors are being stained, but last night I escaped to my parents' house with my boys and our dog for the rest of Spring Break. I'm happy to have more than a kitchen and a basement (that is only "finished" in the loosest sense) to roam around in, but I was going to be the best sort of backseat stainer. Now I can't be there to gush, swoon, cry, sweat bullets and check credentials. I'm sure the floor guys appreciate my absence, but little do they know Mike is under direct orders to drive home at least once (work shmerk) and send me photos. Mark my words, I will somehow weasel my way into the process! 'C' looks great! Good choice! I liked c from the very first pic. You made a great choice!! I have to tell you - I almost spit my coffee (because I was laughing so hard) all over my computer screen when I read the first line of your post. I don't know if you're familiar with Flight of the Concords, but they have a song called "Business Time" and a line in it is "...conditions are perfect..." I guess that's what happens when I'm not properly caffeinated. Or maybe that was the idea all along... heehee, either way, a good start to my morning. We love C! 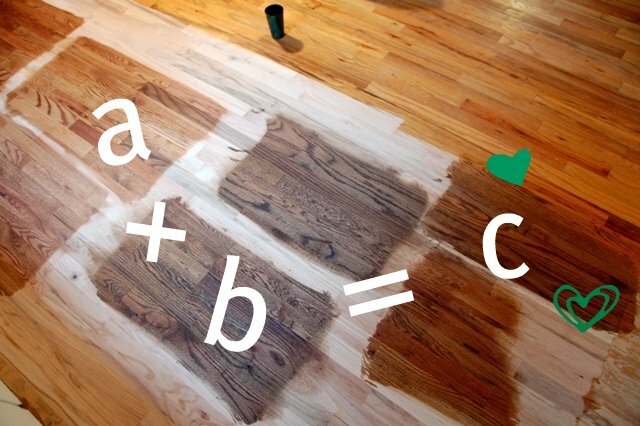 We're refinishing our hardwoods and are about to stain and we must know... what is C? In other words, what is A and what is B, and at what ratio did you mix them? 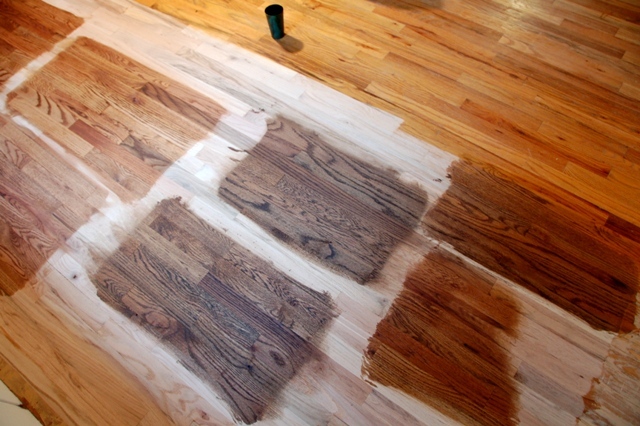 Installing and maintaining a flooring system would be tough, therefore, people start using hardwood floors for better maintenance. 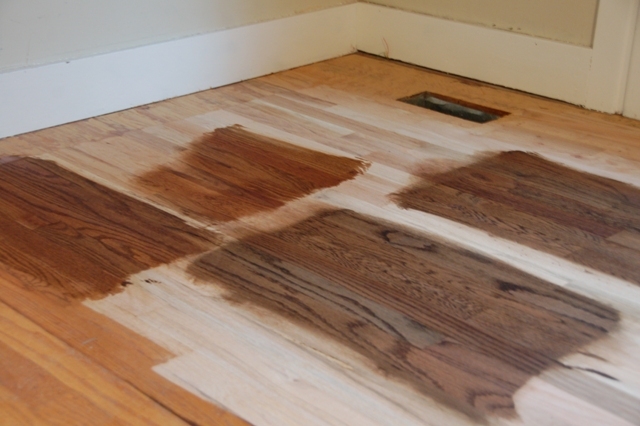 But after years, we have found some stains on our hardwood floors, so to deal with these issues, we need to take expert advice and follow different instructions.